Sitting on this for the last few weeks, I've been stuck in a place where I thought that I may have been a little hard on this with the previous drafts of this review that I had typed up, so it's had me dipping in and out just to see if I wasn't in the right frame of mind for it when I last loaded it up. 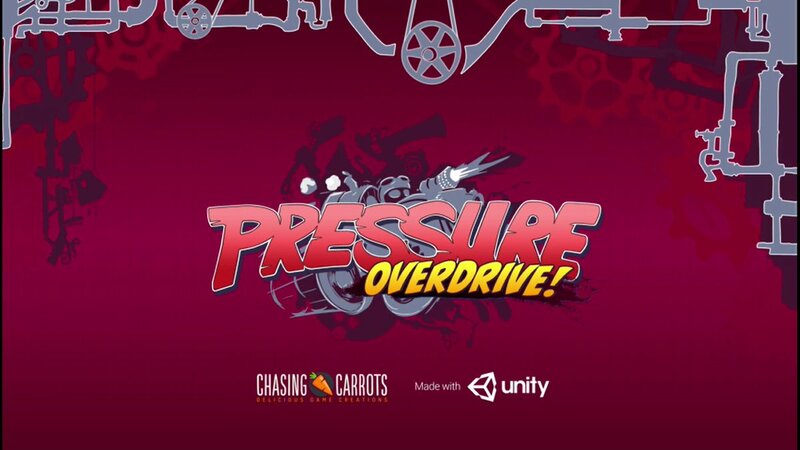 Pressure Overdrive is essentially a twin stick shooter, with the left stick controlling where you steer, and the right stick controlling where your weapon of choice is directed, with the game also giving you a few special powers along the way. While the concept of the game sounded like a cool idea when I thought about reviewing it, sadly the game has lacked in a key area of just pulling me back in to play it more and more. The hours I've put in have been somewhat repetitive, with new enemies joining the fray as time has gone on, but the game itself feeling no different as you work your way through the levels. The game kicks off with the hero of the game trying to go for a swim, only to find out the bad guy, Count Soap, has taken all the water to power his Uber-Spa as the game likes to call it. 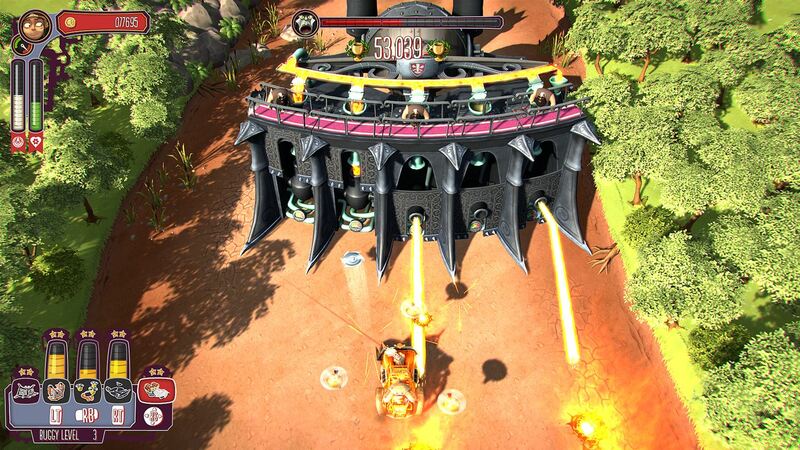 What follows are levels which you must drive through while wiping out his small army, with a boss level thrown in every ten levels. The difficulty of these levels goes up as you progress through them, with boss battles needing you to work out the best tactic to take them out if you wish to stay alive. As you play the game you earn cash that you can spend in the garage, with 6 areas of the car (one being the model of car) to buy and upgrade is you wish to get anywhere in the game. Weapons have ones such as the standard machine gun, to another, that shoots razor blades and bounce off walls. On top of this, you have bumpers, boost for the rear and a bunch of other items for your roof and so on that will help you survive from one end of the track to the other. 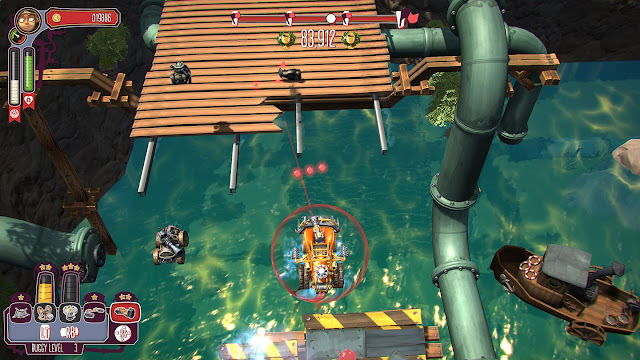 Overall: While it seems a cool concept, the game just lacks that pull back for me and I grew bored of it very quickly. It looks good for a smaller release, but the gameplay itself just doesn't mix things up enough to make it a game that I can see many spending hours and hours on.